Elise Krohn, M.Ed. is an educator, author, herbalist, and native foods specialist in the Pacific Northwest. During her 15 years of experience teaching in tribal communities, she has worked with elders and cultural specialists to create successful community gardens, food sovereignty resources, a program on healing addiction, and curricula on chronic disease prevention. She also has over 10 years of experience as a clinical herbalist, and has authored two books and numerous articles on this and related topics. 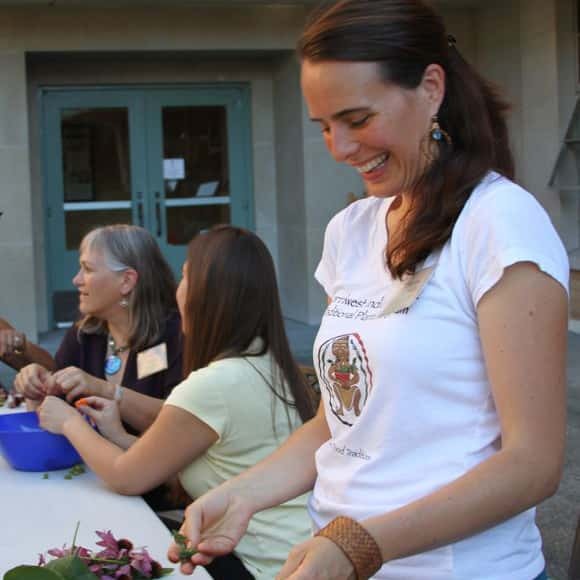 Elise is currently a Fellow in Ethnobotany and Ethnonutrition at the Center for World Indigenous Studies. Her blog can be found at www.wildfoodsandmedicines.com.